MmMMM, ants. Those are eggs in the crease. did you just water?I hatehatehatehate ants! !fyi: Do you know that Vox will rotate photos for you? You have to view the picture, then select the Options dropdown, and Rotate Left (or right). It will auto-update the image in the post too. It had just finished raining when I took this one. 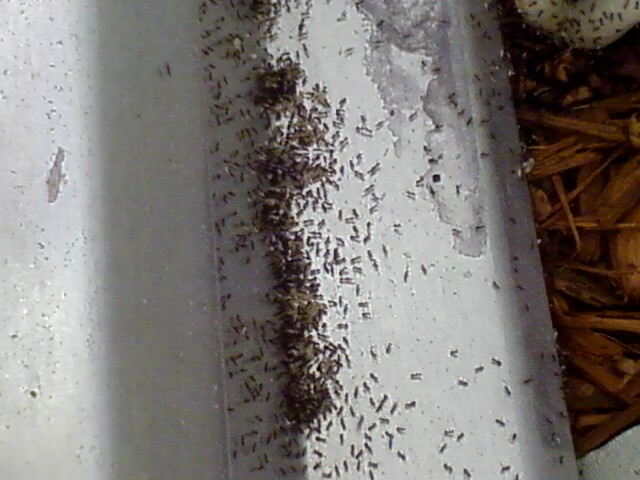 These ants, we think, are nomadic. We see them moving their whole colony at least once a week. It's kind crazy. I'm not a big fan of ants either, but Kiddo saw them and I was indulging her, lol. The last time I watered my front yard, I had about 5 areas that were like this – including 2 under my dining room windows and my ENTIRE porch. did I mention I HATE ANTS.